Two years after she and her mother fled Orchard Hill under cover of darkness to escape the shame of her father's failing hedge fund, Ally Ryan is finally coming home. Not that everyone is happy to see her, especially her former friends(now enemies)who lost their trust funds in the fallout. Ally is determined to put the past behind her and make a fresh start. But she gets more than she bargained for when she meets Jake Graydon. He moved to town after she left and, while he knows nothing of her shame and certainly knows he likes her, he doesn't want to betray his friends. Ally and Jake could be on their way to happily ever after if the road wasn't covered with jealous and vindictive speed bumps. Beacuase the only road her "friends" want to see Ally on is the one that leads back out of town. First her “friends” humiliate her. Then Jake lets her down. Again. Then her MIA father reappears and acts like nothing has changed. Then her mother wants to spend the entire summer at her new boyfriend’s beach house. Breaking point, meet Ally Ryan. After the year she had, all Ally wants is to be let alone. Unfortunately, the Jersey Shore is not the place for privacy. And if she gets one more text about what Jake Graydon has been up to all summer . . .
Labor Day cannot come soon enough. There's nothing I love more than a light, fast-paced summer read. She's So Dead To Us and He's So Not Worth It were exactly what I needed in these long, hot summer nights! She's So Dead To Us: I liked SSDTU soooo much! I loved Ally and Jake and their relationship. Ally didn't give Jake the time of day before finally succumbing and he was so cute when he was all stubborn and angry because of it. I loved Ally's old Crestie friends because even though they all pretty much acted the same(ahem spoiled brats ahem)each of them had a very distinct character and their own voice. I knew who Shannen was, who Hammond was, who Faith and Claire was at every point in the book. Also all the pranks they pulled on Ally? Whew! MEAN! She's So Dead To Us is about unfinished business, frenemies and hot romance. Need I say more? He's So Not Worth It: OMG!! 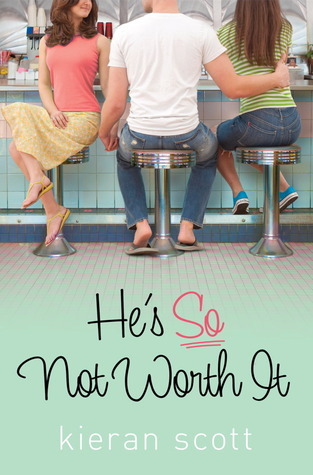 He's So Not Worth It was so much better than I could ever have imagined! Things get even more complicated as Jake, Ally Cresties, Norms, shore locals are knee-deep in trouble. I must admit that Ally annoyed the hell out of me at parts, mostly because she was being such a drama queen and acted so immaturely. In fact I was so fed up with her at some point, that I almost wished she never got back together with Jake because she didn't deserve him. The way she handled the situation with Cooper was ridiculously wrong. And I don't even blame Cooper for this because he gave her so many signs and hints as to who he really was as a person, he might as well have written it on his forehead. I mean, the guy smelled "jerk" a million miles away! And it was more than obvious that Ally was for him nothing more than a summer fling, if that. I know that Ally was going through her rebellious stage at the time, but does she really value herself so low? Plus, what the eff was her attitude towards Annie about? No idea! As for Jake, granted, he too made a bad decision or two but at least something good came out of it. He started studying and got his act together. Let's not forget the kind of guy Jake was before Ally returned to Orchard Hill. He was a player. He hooked up with a different girl every day. So going from that to almost not even kissing anyone for 2 months it equals becoming a monk in Jake's mind, and it's true. Keep that in mind and also the fact that She's So Dead To Us #3 comes out September 2012!! !WAY too long!Why is it so long? ?I wanna know what happens next!NOW!! Do yourself a favor and read She's So Dead To Us and He's So Not Worth It. You're in for a treat! They do sound like perfect beach reads!! Thanks for the recommendation; might try it out if I see it in our library. Awesome review and I agree with everything, especially what you said about Ally ... I feel as though She's So Dead to Us worked, because - even though the Cresties were being E.V.I.L. left and right - Ally kind of rolled with the punches and always managed to come out the other side with a smile on her face, even though she wouldn't quit going back for more. She came off as a really nice girl trying to make the most out of a crappy situation, so her horrible attitude in He's So Not Worth It ... and the Cooper thing ... well, neither did anything good for her, and I completely lost all sympathy!! :( Jake, however, really did seem to change for the better ... and I hope that the shocking reveal at the end doesn't ruin anything for him. Ugh, you and me both! Although I don't think it will. 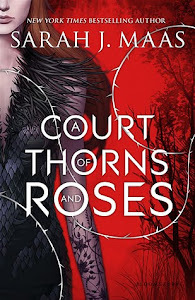 Unless it's the last book in the series with a predetermined un-happy ending, which even to me sounds a bit weird.